With a stay at Room & Relax - Modus Vivendi in Brisighella, you'll be a 4-minute walk from Donkeys Alley and 6 minutes by foot from Vena del Gesso Romagnola Regional Park. 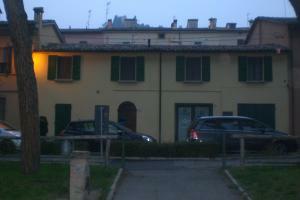 This spa townhouse accommodation is 7.1 mi (11.4 km) from Riolo Terme and 7.3 mi (11.7 km) from Fattoria Zerbina. Make yourself at home in one of the 8 guestrooms. Complimentary wired and wireless Internet access is available. Bathrooms with showers are provided. Housekeeping is provided daily, and both cribs/infant beds (complimentary) and rollaway/extra beds (surcharge) are available on request. Take time to pamper yourself with a visit to the full-service spa. You can take advantage of recreational amenities such as a health club, a spa tub, and a sauna. Enjoy a satisfying meal at Trattoria La Casetta serving guests of Room & Relax - Modus Vivendi. A complimentary buffet breakfast is served daily from 7:30 AM to 10 AM. When would you like to stay at Room & Relax - Modus Vivendi ? Each day we'll check prices and send you an email for your selected dates at Room & Relax - Modus Vivendi. If you don't have specific dates but would like to check prices for say next weekend or say next month we can check the price too. Click to write a review and share your experience of Room & Relax - Modus Vivendi with other travellers.